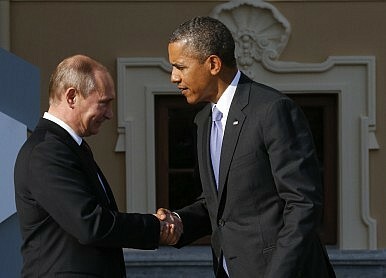 Moscow and Washington have yet to exploit the potential for bilateral cooperation in the Asia-Pacific. It’s been a rocky year for U.S.-Russia relations. We have seen espionage accusations, diplomatic slaps in the face, and unpleasant media fallouts in both domestic arenas. Moreover, it seems that Russian President Vladimir Putin’s recent success (short-lived though it may be) at keeping Ukraine in the fold will frustrate Washington politicians into abandoning any attempts to seek common ground with Moscow. But the need for a strategic vision calls for an unbiased evaluation of all long term cooperation possibilities. One that is evident and as yet unexplored is U.S.-Russia relations in the Pacific region. The Asian-Pacific region’s strategic significance is acknowledged both by Washington and Moscow. In a 2011 Foreign Policy article, former Secretary of State Hillary Clinton emphasized the importance of the Pacific region for U.S. foreign policy, trade, security and global stability. Recognizing the developments, especially in the economic realm, that have already taken place, she formally announced the U.S. “pivot” to the region that would become a key driver of global politics. On the other side of the Pacific, Putin has also recognized the ongoing developments in the region and its strategic value for Russia’s ambition to diversify and strengthen its economic development and global engagement and security. Truly, the national interests of two major global actors intertwine in this region far more than official Moscow and Washington are willing to admit. One of Washington’s top priorities is to provide for an open and nondiscriminatory economic order, allowing free trade to flourish, thus protecting the commercial interests of U.S. companies and the ability of consumers to receive relatively cheap products from the Asian-Pacific. It is also critical for the U.S. to dissuade regional economies from focusing excessively on China. In recent years, the U.S. has been deeply involved in regional economic frameworks like ASEAN Free Trade Area, Trans Pacific Partnership and the East Asian Summit with the goal of securing a leading role in the region. Unfortunately for Russia, it is not yet fully incorporated into the frameworks of Asia-Pacific economic institutions. Moreover, Russia’s economic involvement in APEC is only $206.8 billion, a sliver of APEC’s overall $16 trillion trade turnover in 2012. Considering that $87 billion of Russia’s trade turnover is attributed to trade with China and is consistently growing, Russia’s economic engagement in the region is viewed as closely linked to Beijing’s. Aware of this disproportion, Moscow is working on signing a series of bilateral and multilateral trade agreements with Vietnam, New Zealand, Singapore, India and Pakistan. During the 2012 APEC Forum in Vladivostok, Russia, Putin called for a strengthening of regional transparency and liberalization, innovation, and the development of trans-border infrastructure development to advance the integration of Russia’s Far East into the other economies in the region. Moscow’s ambition to integrate Far East and Siberia into the region could be a great opportunity for U.S. to invest in Russia and de-monopolize Chinese’s financial presence in this resource-rich part of Russia. By supporting reconciliation between Russia and Japan, the intensification of Japanese investment in the Far East, and the further increase of Russian-Korean and Russian-Vietnamese trade relations, Washington will deprive Beijing of its almost exclusive rights to Siberia’s energy supplies. An economically independent and engaged Russia will be an asset to the overall economic stability of the Pacific, balancing Chinese influence and providing for a (sometimes literal) gold mine of investment opportunities. The American goal of quelling Chinese aspirations might also prove to be compatible with Russia’s interests. The rapid growth of China’s military capabilities is understandably worrisome to Russia and has induced the military consolidation of the Russia’s Pacific fleet. It is worth noting that, in light of growing competition between Russia and China over Central Asia, Moscow is bound to act more assertively against growing Chinese influence. China’s trade with Central Asian states already exceeds Russia’s, negatively affecting Russia’s plan to incorporate Central Asia into the Customs Union or any other future integration schemes. Russia’s cooperation with India, which has its own tensions with China, is also critical for the U.S. The joint Russo-Indian military venture, which will see the modernization of the fifth generation successor of the latest Sukhoi PAK-FA, will strengthen both Indian defense and help to counterbalance China. The growing interest of Russian military-industrial and energy companies in Southeast Asia will give Russia cause to become increasingly interested in the security and stability of vital water corridors in the waters of East Asia. Despite protests from Beijing, Russia is intensifying its connections with Vietnam, arranging for joint oil and gas exploration and signing military contracts, including the sale of six submarines in 2009. Thailand, Indonesia, Laos and Malaysia are among other potential targets for Russia’s armament deals. Most of those countries are America’s partners in the “hub and spokes” cooperative security system and their close relations with Russia will only prove beneficial for the U.S., as Moscow would be more inclined to engage in conflict resolution that might erupt between China and them. Another area of joint interest is North Korea and nuclear non-proliferation. As stated in the Russian Foreign Policy Concept, political stability in Asia is crucial to Russia foreign policy priorities, especially on the question of non-proliferation. The readiness to participate in Korean talks and enforce a peaceful resolution is even more evident when placed in the context of Moscow’s ambition to build a Trans-Korean railroad and a direct pipeline from the Russian Far East to the Korean market. Russian involvement in the political and economic system of the Asia-Pacific will only help to promote U.S. aspirations to foster a stable and economically open regional structure. The moderate pacification of China and the limitation of Beijing’s economic dominance in the region is compatible with the long term goals of both the U.S. and Russia. But to get the most out of any potential cooperation with Moscow, Washington must modify its perception of the region and acknowledge Russia as a significant actor there. The U.S. needs to engage Russia and invite it to strengthen its participation in regional trade and political organizations. It must also support reconciliation between Moscow and Tokyo and the further development of Russo-Korean relations, as well as welcoming Russia’s ambitions to integrate its Far East into the regional economy. In the same sense, Russia must to show its readiness to integrate into the regional economy on the rules of transparency and accountability, to prove that Russia’s turn East goes beyond China and that it is ready to engage Washington in a depoliticized manner with strategic cooperation in mind. Anton Barbashin is a Moscow-based International Relations researcher and analyst who has published in Russia’s Moskovsky Komsomolets and Nezavisimaya Gazeta.